These are the courses scheduled for Summer 2016 that count toward the Film & Media Studies minor. To determine whether other courses may count toward FAMS, please contact the director. COMM 302-A01 Foundations of Mass Communication 7-10pm MWF Krug Hall 5 Richard Craig | Theories and principles of mass communication emphasizing effects, the media as institution, and role of society. COMM 380-A01 Media Criticism DE David J Miller | This asynchronous online course examines practical criticism of a wide variety of media texts including television programs, newspapers, articles, films, photographs, and advertisements. This course introduces principles of major contemporary modes of analysis for systematically interpreting visual and verbal forms of communication. This course is designed to enable students to formulate their own philosophies on the role of mass media-making and popular culture through the careful analysis of key theories of communication, the meaning and interpretation of media-making and the institutions that shape our social, political, economic, cultural and social values in a contemporary society. COMM 399: B01 Masculinities in The Media and Literature (also WGST 300 and AAAS 390) 4:30-7:10pm MW West 1007 David Corwin | This course will interrogate the representations of masculinity in literature and the media from 1950 until today. It can be difficult to look critically at how society represents men in media and fiction, as these modes of expression tend to maintain systems of power that privilege men. This course will engage students in discussions about representations of masculinity in film, television, literature, video games, advertising, and music. ENGH 202-B01 Conflict, Terrorism, Human Rights MW 4:30-7:10pm Rob A412 Jessica Scarlata | This course will look at representations of violence, protest, and questions of human rights in international film, paying particular attention to how space and time are contested, claimed, and imagined. Covering state and anti-state violence as well as non-violent resistance, we will consider the relationship between the cultural and political complexity of most conflicts on the one hand, and the narrative demands of commercial fiction film on the other. For example: What effect does the use of heroic and/or melodramatic frameworks have on a film’s portrayal of occupation, resistance, torture, terrorism, guerrilla warfare, and civil disobedience? What does it mean to consume narratives of trauma? How have filmmakers formulated alternative languages for telling traumatic stories? In studying such representations, we will address the role that space and violence play in constructions of gender, class, race, and sexuality, and how these constructions work in relation to discourses of security and crisis. ENGH 372-A01 Introduction to Film MTWR 10:30am-12:35pm Rob A243 Cynthia Fuchs | This class considers movies as economic, aesthetic, and political texts, within historical and cultural contexts. We will look at a variety of generic and genre-bending films in order to discuss representation (communities, individuals, authorities, ambitions) as well as cinematic and digital production and distribution (are films deemed independent or mainstream, and how is such a distinction made, by whom, and to whose benefit?). Discussions will focus primarily on formal analyses and cultural frameworks. Films and television may include Amy, City of God, Creed, Dope, Gotham, Treeless Mountain, Mustang, Straight Outta Compton, Tangerine, 10 Cloverfield Lane, and Wajda. Satisfies the core requirement for Arts. ENGH 373-A01 Film & Video Forms MTWR 1:30-3:35pm Rob A243 Cynthia Fuchs | The course focuses on how movies, videos, and TV tell stories, how they construct subjects and position viewers, by creating convincing, emotionally potent "realities." Looking at how fiction films, documentaries, and television take on similar topics, we'll examine narrative and formal conventions, political and historical contexts, and the effects of budgets, technologies, and commercial cultures. Movies and TV may include American Crime Story: The People vs O.J. Simpson, Carol, Ex Machina, The Following, A Girl Walks Home Alone at Night, Jessica Jones, The 100, Sicario, Taxi, Victoria, and The Witch. FAVS 225: History of World Cinema (DE) INSTRUCTOR TBA | The course will enable students to comprehend the evolution of the history and language of cinema in order to connect the art of filmmaking with the “outside forces” (economic institutions, key figures, historical events and social issues) that shape it. FAVS 260-A01 Video Editing for Film MTWR 10:20am-12:35pm AB 1020 Amanda Kraus | This course will instruct on the theories and technical expertise pertaining to video editing by utilizing various video editing software. FAVS 470- A01 Film and Video Screenwriting MWF 1:20-4:20pm Nguyen Engineering Building 1107 Thomas Britt | In this section of FAVS 470, students will explore and practice the principles and profession of writing scripted television. The course examines television drama and the expectations for writing as a freelancer or as part of a writing staff. Students will develop skills in writing for the small screen(s) by working with established techniques and considering contemporary trends. Students will identify the qualities of successful (and unsuccessful) TV pilots and series, explore the conventions and variations of TV franchises, analyze scenes, acts, and full scripts of existing series, propose story ideas for existing series, write scripts for existing series, and/or develop original pilot scripts. 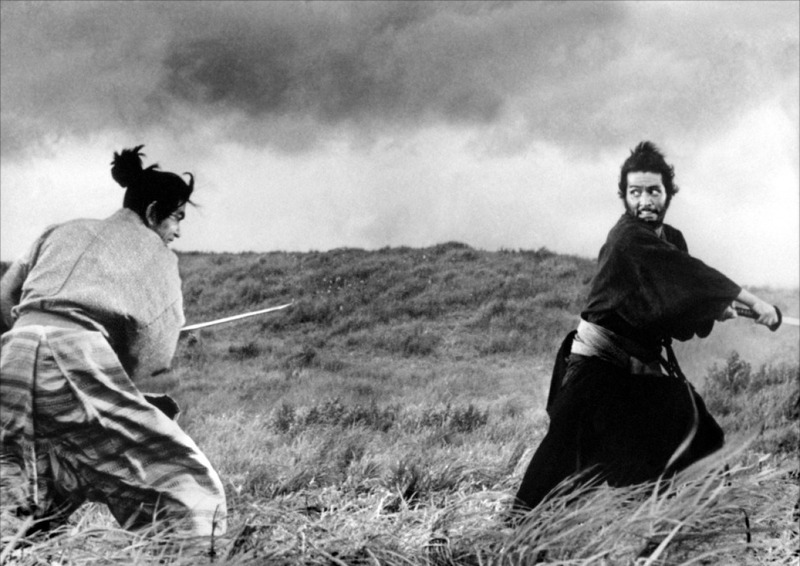 FRLN 331-C01 Samurai On Screen 7-10pm MWF Aquia Building 347 Michael Jeck | Swords clash as hard-eyed men duel over honor and humanity. An unusual genre in world cinema, samurai movies have been a vehicle for contemporary social criticism under period guise, featuring great stars, personal expression by some of the world’s greatest filmmakers, and the most kinetic and balletic of action sequences. As we explore the films' particular techniques, students will acquire critical reading skills. This class requires no background in Japanese language, culture, history or film studies. All films with English subtitles and will be shown in their entirety during class periods. Satisfies the Core requirement in Global Understanding. 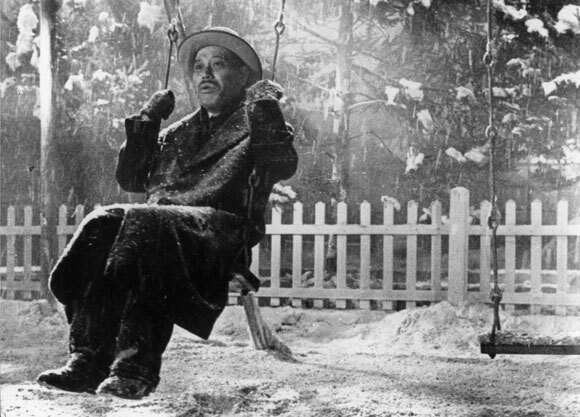 JAPA 320-A01 The Films of Akira Kurosawa 7-10pm MWF Aquia Building 347 Michael Jeck | From early works to late period spectacles, from samurai to business suits, from the classics to unsung, little known works, Akira Kurosawa's films form a remarkable body of work. This course emphasizes the cinematic means the great director used to dramatize his message of Promethean heroes at odds with their environment, acquiring critical skill re film along the way. It requires no background in film studies or in Japanese language, culture, and history, but it can’t hurt. All films have English subtitles and will be shown in their entirety during class periods. WGST 300-A01 Women in Media MWF 7-10pm Robinson Hall A249 Rachel Lewis | This course will examine how women are portrayed in visual media, including advertising, television, film, photography, music video and performance art, in the United States and a variety of global contexts. Much of the course will be devoted to exploring the relationships among feminism, the media, and popular culture, especially the ways in which representations of gender and sexuality in the 21st century are shifting in response to feminist, queer, anti-racist, and transnational critiques.